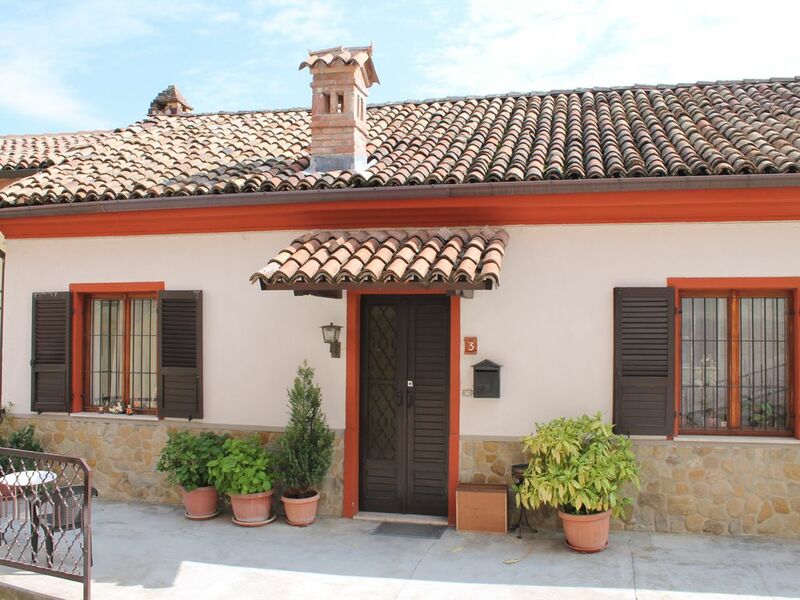 On the highest point of the hill, in the historic center of Calosso, stands a very spacious and comfortable house for 5 people with three bedrooms, kitchen and bathroom. It has a breathtaking view of the hills and being in the historic center of the country offers various conveniences such as restaurants within walking distance and a convenience store for shopping. From Calosso it is possible to reach different historical centers in Monferrato (Canelli, Santo Stefano, Costigliole, Acqui Terme ...) and Langhe (Alba, Barolo, Barbaresco, La Morra, Dogliani ...) being located right between these 2 areas UNESCO heritage. The house has an outdoor space and a private garden. The owners have a private pool 3 km away which can be used freely. We organize wine tastings on request and visits to the cellars of the area. In October, 3rd Sunday, in Calosso is held the famous festival "Fiera del Rapulè", an eno-gastronomic route now become very famous in Piedmont and beyond. Come and visit us!